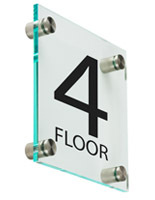 Why pursue custom-made office signage when an off-the-shelf item proves to be the least expensive? 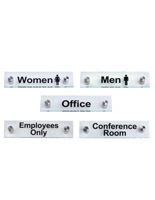 Our pre-printed wall signs come in all the commonly used door and room designations for office buildings, restaurants, and other businesses. 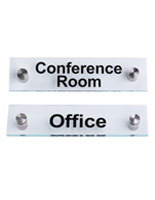 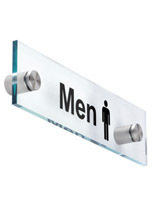 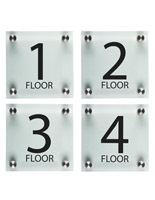 Similar in look to our popular DSIGN line, these affordable acrylic plaques feature back-printed Helvetica text with sets of stainless steel standoffs for mounting. 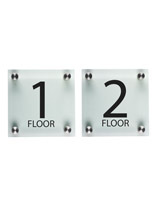 The pre-printed wall signs offer a modern and contemporary presentation that enhance your interior decor more impressively than other mundane and run-of-the-mill styles. 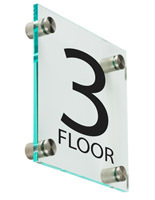 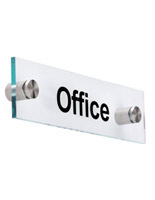 Why are these office door plaques so popular? 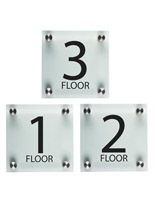 Our pre-printed wall signs are cut from 1/4" thick green edge acrylic sheets. 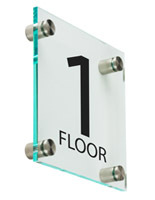 While they appear clear when looked upon, the plaques feature a green edge with a look that emulates plate glass. 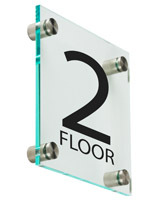 We machine polish all edges to bring out this plate glass look: for a fraction of the cost. 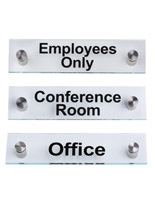 The message text is back-printed behind the plates (what we call 2nd surface) to provide a smooth and seamless appearance on the face. 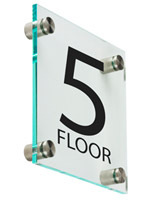 Using our in-house UV flatbed printer, the text is permanently applied to the acrylic and will never peel or whither like vinyl sign lettering. 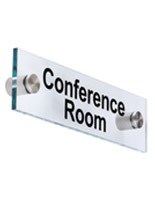 To mount your signs to the door or wall, we include sets of stainless steel standoffs to complete the installation. 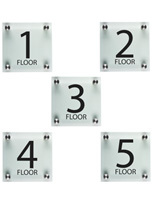 The plaques come complete with pre-drilled holes for a fast and easy install, doable by just about everyone. 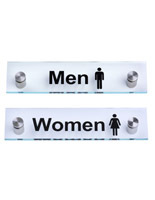 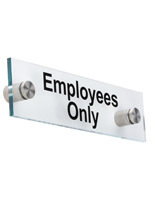 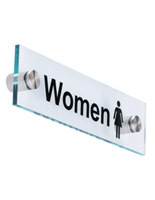 The "acrylic with standoffs" combination is a timeless look, and is widely used in professional environments, however it must be stated that these stock signs are not ADA compliant.